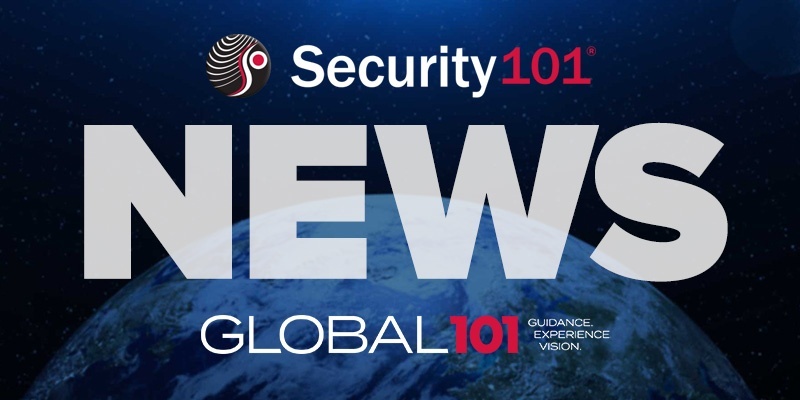 Security 101® has announced that Carl Stark will be the new president and general manager of GLOBAL 101. GLOBAL 101 is a division of Security 101 which provides integrated security solutions for enterprise organizations, including several Fortune 500 companies, with multi-site facilities throughout the U.S. and 14 countries. Carl is a 30-year veteran of the security industry and began his career as a Security Systems Technician in the Navy specializing in electronic security systems. He has worked within every security integration discipline—from installation and service to project management, system design, and sales. He eventually started his own successful security integration firm (Qualified Systems), which was acquired in 2013. Ready for a new challenge, Carl joined TEAM101 and immediately made an impact supporting national/global customers. He is active in, and has served as a volunteer leader for several industry organizations in different capacities his entire career. Carl is a board-certified Physical Security Professional (PSP). Since its inception in 2003, Security 101 has been growing a dedicated team of security professionals who have a strong desire to positively impact the security industry. With a goal of having 101 locations, Security 101 is attracting top industry leaders and always looking for highly-motivated professionals who fit the organization’s guiding principles and culture. Apply for a position with the Security 101 Global Accounts Team. Security 101 offers global physical security services and support to large enterprise and multi-site organizations around the globe. Visit the Global 101 site to learn about our approach and the difference we can make for your team.